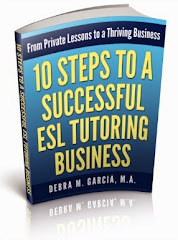 As a private ESL tutor, the majority of my students are advanced English language learners who primarily want to work on their speaking skills. And as a teacher and a human, I like to think that some things I say are noteworthy! So it pleases me when my students take notes about corrections I make or new vocabulary (words, phrases, idioms, etc.) I offer. In fact, although there are all different types of learners (auditory, visual, kinesthetic, etc. ), I tend to have a lot of faith in the technique of writing things down to help you remember them in the future, no matter what the student's preferred method of learning. I will occasionally recommend to a student that he or she take notes; not extensive notes, just reminder notes, at least. The majority of students follow my suggestion, but not all students do. I think that it's important to remember that learning really is about the student more than about the teacher. So the compromise I make (with myself) is that I take notes during our sessions (it's like writing important points on a chalkboard, but I use a yellow pad of paper) and offer them to my students at the end of our lesson. I do this for both students who take notes and students who don't. 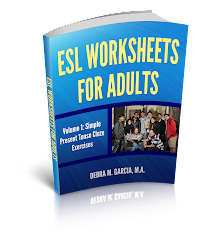 Hopefully, this helps my ESL students. I know it makes me feel better!